What is Astrology , Different Types Of Yogas in Horoscope or kundli, Different Types of Problems In Life, Remedies, Astrologer for solutions of different types of planetary problems. Astrology is a great subject which is being used for the ancient times for success. The kings, Businessmen, Landlords etc are using astrology to get the right way from the ancient times. Astrology problems can be minimized planetary problems can be root out success can be achieved but the main thing is that we must have the proper way to move, we must have the proper guidance. 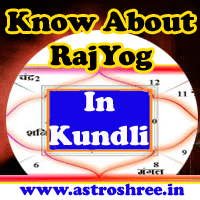 Many Types of yogas are present in our horoscope(kundli) which has different impact in our life for e.g. kaalsarp yoga forms when all the planets comes between Rahu and ketu. There are various types of kalsarp yogas found in a horoscope which have different effect in a person's life,like as a person having kaalsarp yoga in his kundli has a struggle in his life very much, unwanted problems comes suddenly, a fear resides within, success comes but after passing of right Time.So it must be root out in time to get success. angarak yoga forms when rahu(Dragon's head) placed with mangal(mars). This is very dangerous yoga and it is responsible for accidents in life. so it must be root out very cleverly. When Rahu resides with any planet in any place in a horoscope or kundli then grahan yoga forms it also has negative effects depends upon the place where it is placed. This yoga forms due to the combination of Mercury and Sun and this is good yoga but sometimes it is also seen that even after having this yoga person is not thriving, this happens due to the weakness of any 1 of the planet, so it's benefit can be optimized if a good astrologer check the horoscope and give advise as per the conditions. 1) Business Problems ----- due to this Business does not thrive properly. 2) Marriage problems ----- due to this marriage become late or dissatisfaction arise in marriage life. 3) Disease problems ----- due to this diseases comes suddenly in life which affect our professional and personal life. 4) Industrial Problems ----- Industry doses not thrive properly. 5) Personal problems ----- person is dissatisfied from himself. 6) Bhagyoday problem ----- due to no bhagyodaya person get obstacles in every step of life. 7) Education Problems ----- due to this student face problems in getting education. 8) Status Problems ----- due to this person not get proper status even after doing right things in right time. 9) Job Problems ----- due to this person not get job in proper time even after having good qualifications etc.. This is good to consult a good Astrologer and Vastu Consultant before going for any remedial Action. As there are different types of solutions for the same problems but which one to use depends upon proper analysis. So astrologer is very important in life because he or she has command over that subject and therefore guide better. Astrology and Astrologer for Businessmen, astrology & Astrologer for working professionals, astrology & Astrologer for house wife, astrology & Astrologer for learners, astrology & Astrologer for students, astrology & Astrologer for service providers, astrology for lovers, astrology for bachelors, astrology for everyone, astrologer online. What is Astrology?, Different Types Of Yogas in Horoscope or kundli, Different Types of Problems In Life, Remedies, Astrologer for solutions of different types of planetary problems.